This marriage certificate with a gold ULC Monastery seal gives the happy couple something to cherish for years to come. This marriage certificate embossed with a gold ULC Ministries seal gives the happy couple something to cherish for years to come. This is normally presented and signed immediately after the ceremony by you, the officiant, while in the presence of the official witnesses as part of your presentation package. 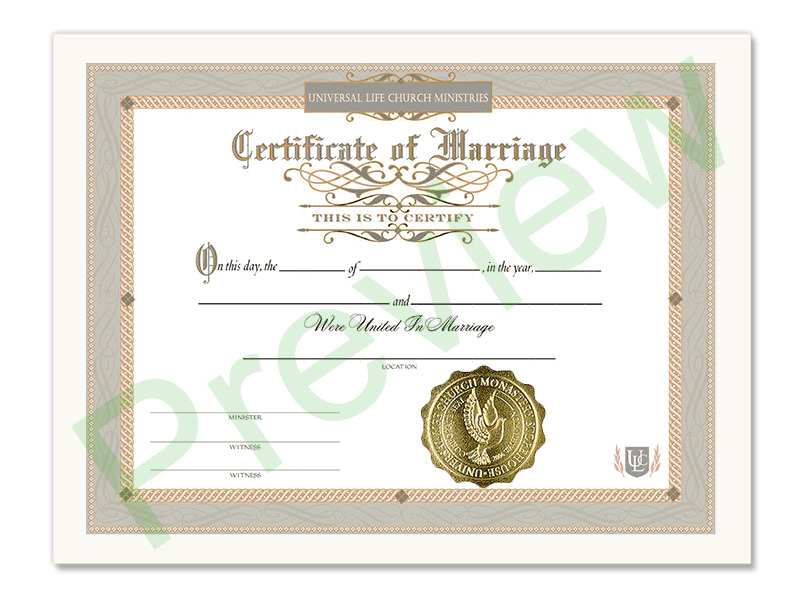 We suggest enhancing the presentation of this marriage certificate with the official ULC Certificate Holder. The cover is gold leaf embossed with the official church seal in its center.